So I'm in another bible study at church and before I even knew what the study was about I had decided to skip it. I figured I had just done one in October and my heart just wasn't really into doing this one. But thankfully God has a sense of humor because when I told him, umm God I think I'll sit this one out. He laughed at me. Not just any laugh but a big belly laugh. We are studying Beth Moore's Stepping Up: A Journey Though the Pslams of Ascent. The group actually started last week but I wanted to go a little deeper into the study before I mentioned it. It's about going deeper with God. Taking the next step in your relationship with Him. To go where He where He will guide you. I know that sounds scary to some. Going into the unknown. Even if it is with God, the unknown is a scary thing. Not me. I'm excited. I'm actually pumped about this study. See God knew what this study was about even long before I did. An ascension. A journey drawing me nearer to Him. And this is one of the things I have been praying for. A closer relationship with Him. So yea, God laughed at me when I said no to this study. Because this is exactly where He wants me to be. Stepping Up to Him. I love her studies. We are currently doing James. The one you are doing was on our possible list and I'm sure we will do it soon. Sounds like a great study! 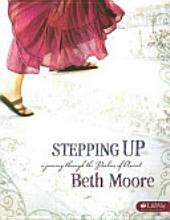 I'm about ready for a new one and you can never go wrong with Beth Moore. 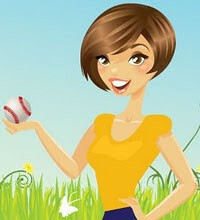 I did this one a couple of years ago ~ SO good! Well here's what we did this weekend.